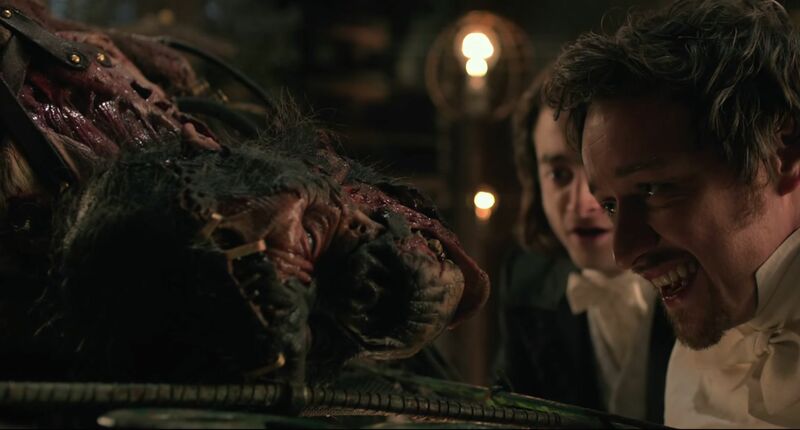 From the original, to the sequels, to the countless remakes/reboots/ parodies, we now stand before the 45th re-imagining of Mary Shelley’s classic tale of loss and rebirth in: Victor Frankenstein. Directed by Paul McGuigan (Lucky Number Slevin, Gangster No.1, Sherlock), with screenplay by Max Landis (Chronicle, American Ultra). This time the story of “the man and the monster” comes from the perspective of the mad scientists assistant Igor (Daniel Radcliffe), a brilliant tortured soul who has lived his entire life being literally the nameless, hunchback, clown-faced punching bag of a traveling circus; in which he also moonlights as the self taught in-house physician (i’m not making this up). His only happiness is gazing at the beautiful Lorelei (Jessica Brown), a fellow circus performer he is smitten over. 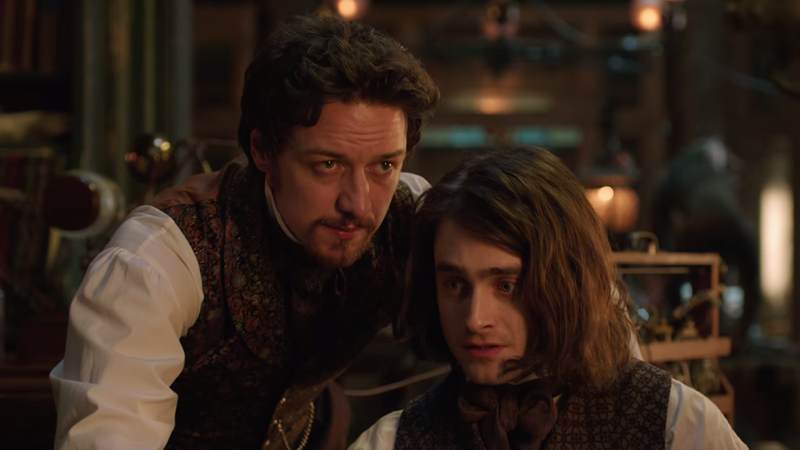 In walks Victor Frankenstein (James McAvoy), a spark plug of a man/medical student, who through a random accident mid circus performance, makes the acquaintance of our sheepish protagonist. Through various levels of “ex-machina” Victor frees Igor from the three ring prison, in order to help him with his experiments he’s been working on at home. Through random narraration or loaded exposition we watch the duo quite rapidly become bff’s and have scientific breakthrough after scientific breakthrough, mainly via quick cut montages. Andrew Scott (Sherlock, Pride) was chilling as Inspector Turpin, the clever detective who sees Victor as “evil”. Now, I was entertained by this movie, but not in the way the film makers intended. 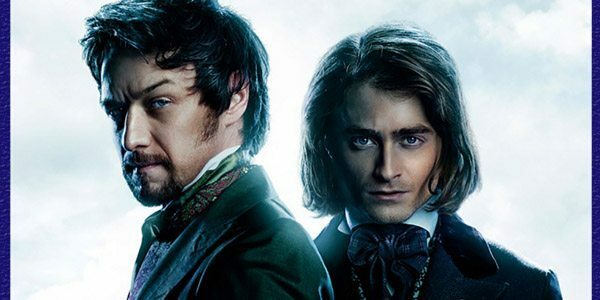 McAvoy & Radcliffe had great chemistry on screen. Brown does her job as leading lady of the film. You must give VF credit for attempting to make a well paced film around an interesting take of an iconic story. Too bad it missed its mark a time or two. Only problem was the lack of connection between all of the films strong points at the moments when it needs it most. So much exposition was delivered in bulk, while sparse narration chimes in to explain the rest. On top of the non stop quick cuts stopping the audience from getting a clear view and speeding along time without making it understood how much time had passed. Director of Photography David Wagner gave us some beautiful shots that went well with Craig Armstrong’s score in the background. But the the Robert Downey Jr “Sherlock Holmes” Guy Ritchie vibe is definitely attempting to be channeled in this film, to no avail.